It’s been 125 years since the Jack the Ripper murders terrorized East London and the grisly mystery is alive and well in pop culture. Walter Sickert's painting “Putana a Casa” is owned by the Harvard Art Museums in Cambridge. There’s a 125th Anniversary Jack the Ripper Conference in London in November; a comedic play about the brutal murders in China; a “Jack the Ripper” musical starring South Korean pop star Sungmin in Japan; a 62-stop lecture tour in England by former London murder squad detective and Ripper investigator Trevor Marriott; a BBC America show called “Ripper Street”; and authors Patricia Cornwell and Donald Rumbelow both have plans to release updated versions of their books on the Ripper case this year. If you’re intrigued by the Victorian serial murder mystery you may be interested in a curious, little-known connection that Boston has to the unsolved case: One of Britain’s finest painters, a man who studied under James Abbott McNeill Whistler and was strongly influenced by Edgar Degas, but who was also suspected by Cornwell in a 2005 book of actually being Jack the Ripper, has 194 works at the Museum of Fine Arts and Harvard Art Museums. All of them were in storage up until this week when the MFA planned to put one of the paintings, “Les Petites Belges,” on display to complement another painting in its European art gallery. Morgue photograph of Ripper victim Catherine Eddowes. Those who believe Sickert was Jack the Ripper contend that the subject of “Putana a Casa,” (above, far right) has a face disfigured with dark brush strokes that resembles a morgue photograph of Ripper victim Catherine Eddowes (right), whose face was disfigured with a knife. 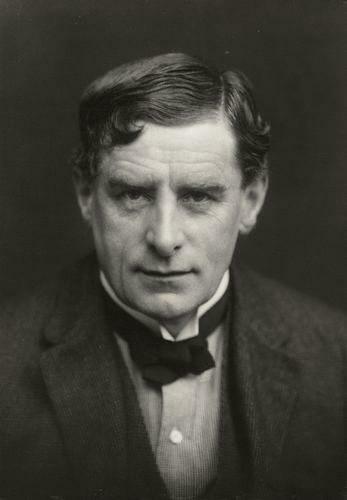 Cornwell’s accusation aside, Walter Richard Sickert has been widely dismissed by Ripper investigators and art experts as a suspect. But there is no denying his intense interest in the case. And what most do agree on is that Sickert, who lived in London at the time of the murders (1888) and died in 1942 at 82, was fascinated with the murders and used them to promote his own work. One of his paintings is called “Jack the Ripper’s Bedroom” and four nudes he painted are called “The Camden Town Murder”: Some of the drawings, etchings, and prints of the latter are owned by the MFA and Harvard. “My instinct is to say he sometimes changed the titles of his works or selected titles for his works because he was a great publicist. He knew exactly how to capitalize on this sort of frisson,” said Emily Beeny, assistant curator of paintings in the Art of Europe department at the MFA. Although Sickert had no problem capitalizing on the Ripper mystique, the MFA has no plans to do so because the museum, as a rule, does not focus on hypothetical situations, MFA spokeswoman Karen Frascona said. None of the museum’s four Sickert oil paintings have been connected to the Ripper mystery and there are no plans to put any of the 102 prints and drawings it owns on display, although they can be viewed by making an appointment, Frascona said. The MFA came by its vast collection of 106 works by Sickert through acquisitions and donations made over the last 81 years, according to Beeny. Cornwell, who lives in Boston’s North End, donated 82 Sickert works to Harvard five years ago after she studied them as part of her investigation. Harvard now has 88 works by Sickert. Harvard owns a drawing of one of “The Camden Town Murder” works (above). Its original title was “What Shall We Do About the Rent?” Sickert changed the title after the murder. The works at Harvard can’t be seen at this time because of a massive renovation and expansion project of the Fogg Museum of Art, the Busch-Reisinger Museum, and the Arthur M. Sackler Museum that won’t be complete until at least 2014. 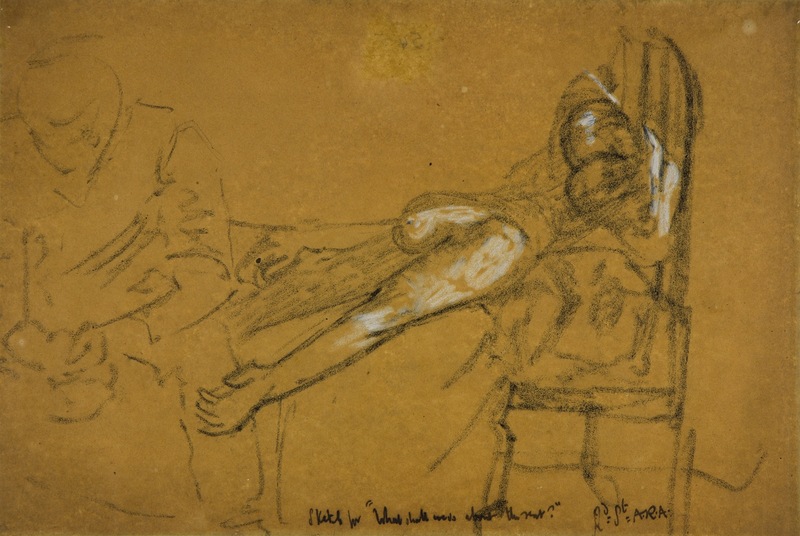 In her book, Cornwell says Sickert was allowed to view the crime scene shortly after it was discovered, and that’s where he made several sketches of the murdered woman. Cornwell is said to have spent as much as $6 million on an investigation for her book, and she insists Sickert was doing more than just promoting his art when he named or created works based on the murders. With no conclusive forensic evidence, Cornwell in her book relies on psychological profiles of psychopaths to help connect Sickert with the crimes. 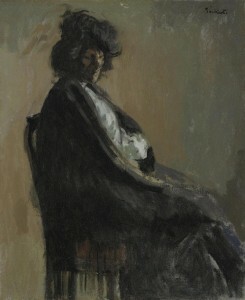 She claims that Sickert, like most psychopaths, believed he was smarter than everyone else and was proving this by leaving clues in the names of his works, by posing some of his subjects in the same way some of the Ripper’s victims’ bodies were found, and by painting people who looked like some of the victims. Those who believe Sickert was the Ripper contend that the subject of one of his works, “Putana a Casa,” has a face disfigured with dark brush strokes that resembles a morgue photograph of Ripper victim Catherine Eddowes, whose face was disfigured with a knife. They also contend that Eddowes is in another of his paintings, “Le Journal,” which is privately owned and shows a woman with her head thrown back as she reads a newspaper held over her head. 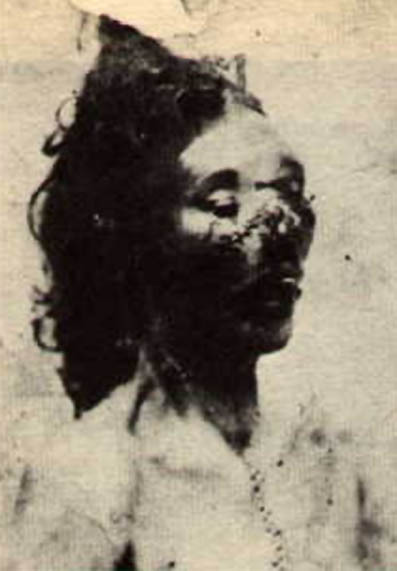 The awkward framing of the woman is similar to the framing of Eddowes with her throat slashed in another morgue photo. But skeptics say that even if some of his paintings resemble photographs of the victims, that hardly means Sickert was the killer. They explain that he could have seen some of these police photos and then consciously or unconsciously used them in his work. Although five murders, from Aug. 31 to Nov. 9, 1888, are officially blamed on the Ripper, Cornwell and others believe the Ripper may have been responsible for more, including the murder of a prostitute near Sickert’s studio in the Camden Town section of London in 1907. Harvard owns a drawing of one of “The Camden Town Murder” works. Its original title was “What Shall We Do About the Rent?” Sickert changed the title after the murder. 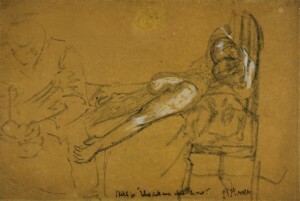 It features a naked woman lying on a bed with a clothed man sitting on the edge of the bed looking down on his clasped hands. In her book, Cornwell says Sickert was allowed to view the crime scene shortly after it was discovered, and that’s where he made several sketches of the murdered woman. She questions whether it was a coincidence that he happened to walk by at just the right time to ask police on the scene if he could enter the home, or if he carefully planned it, knowing when the woman would be murdered and when her body would be found. 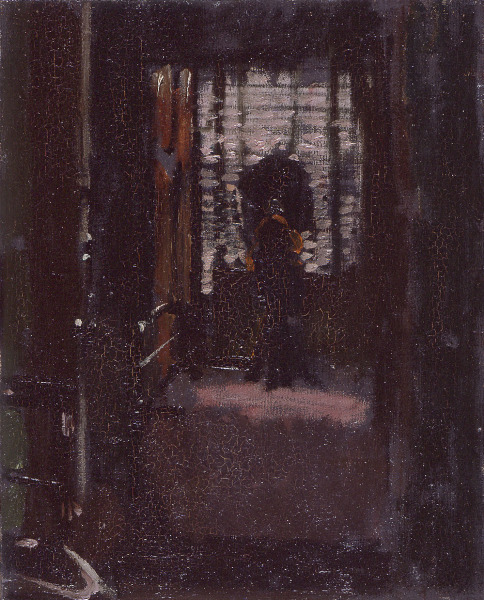 Cornwell was not the first person to accuse Sickert of being Jack the Ripper. In 1990, Jean Overton Fuller accused Sickert in her book “Sickert and the Ripper Crimes.” And in 1976 Stephen Knight wrote a book called “Jack the Ripper: The Final Solution” that claimed Sickert was part of an elaborate royal conspiracy involving Queen Victoria’s grandson Prince Albert Victor. Marriott, the Ripper investigator, said Sickert’s “status as a suspect is poorly deserved.” He added that over the years there have been more than 200 Ripper suspects with many of the more popular ones having strong advocates in the small circle of hard-core Ripper enthusiasts. Many of these hard-core enthusiasts frequent a 17-year-old website called Casebook, where they have been arguing and voting on who they believe is the top suspect for years. Currently Sickert is listed as the number three suspect among 22, behind James Maybrick and Francis Tumblety. “Casebook is mainly a forum that is frequented by what I would call hard-line Ripper researchers who over the years have become fixated with their own individual suspects with their own particular take on the case and those people are not prepared to accept new facts,” Marriott said. After his investigations, Marriott said he doesn’t believe there is a single Jack the Ripper. He believes several people acting alone most likely committed the murders and that some may have been copycat killings. He added that he believes Jack the Ripper was the creation of a sensational press. In fact, it’s widely accepted that the name of Jack the Ripper came from a newspaper editor who sent one of the phony letters to police claiming to be the murderer. During the murder spree the police received hundreds of letters from people claiming to be the murderer. Cornwell claims that her research shows that at least one of those letters may have come from Sickert, but the DNA tests and paper-matching analysis she conducted weren’t conclusive. Marriott, in his 2005 book, “Jack the Ripper, The 21st Century Investigation,” brought to light a relatively new suspect, Carl Feigenbaum, a sailor who was electrocuted at Sing Sing prison in New York in 1896 for the Ripper-like murder of his landlady. In an interview he gave to the New York Advertiser shortly after the execution, Feigenbaum’s lawyer said he believed his client was the Ripper, according to Marriott. Like all the other theories floating out there, however, it’s never been proven. As long as it remains unsolved, the legend will grow.